People with disability and their families – as well as jobseekers interested in working in the growing disability sector – are encouraged to attend a National Disability Insurance Scheme (NDIS) expo in Gawler on Friday 12 May 2017. The State Government, with the support of the National Disability Insurance Agency, is hosting the expo. It will be the first of a series of 22 community expos across the state to provide local communities an opportunity to learn more about the scheme in their region. 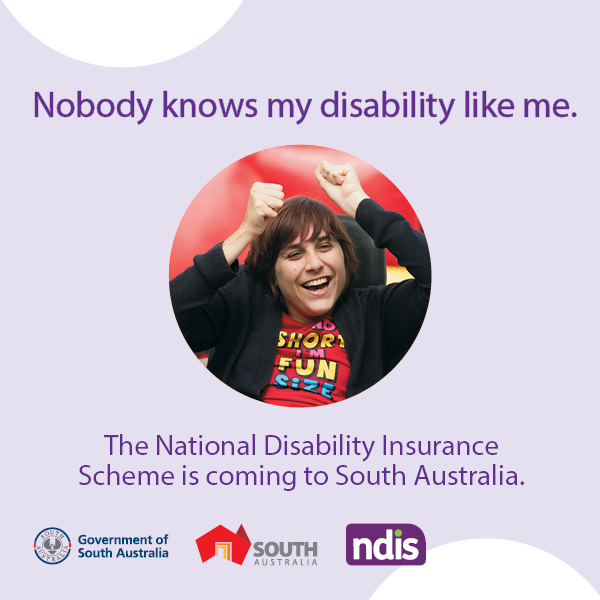 It is also an opportunity for job seekers to find out more about the job opportunities the NDIS will bring to South Australia. The first expo will be held in Gawler, Friday 12 May 2017 at 10am. It will be held at the Gawler Sport and Community Centre, Nixon Tce, Gawler, for people living in the Barossa, Light and Lower North region. a panel discussion involving state and federal government representatives talking about how the NDIS works, and jobs in the sector. Everyone is welcome to attend the free community expo. You can register online to attend an expo near you at www.mysupportmychoice.sa.gov.au. For telephone advice on how to register online call 1800 952 962 (Monday – Friday, 9am to 5pm). The NDIS will be available to adults with disability living in the north of Adelaide and in the Barossa, Light and Lower North region, from 1 July 2017. Everyone who currently receives disability services is encouraged to attend an expo near them to learn more about the NDIS in South Australia. People who currently do not receive services, but think they might be eligible for NDIS support, can also attend to learn more about eligibility and access.